A Forex trading stop order, also called a stop limit order, is a Forex order to buy or sell currency if it reaches a certain price. A Forex stop order is done in order to make sure you do not lose more than you bargained for. 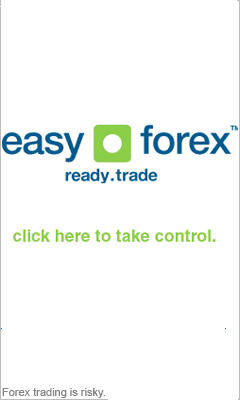 This way, you can limit your Forex trading losses, for example, to 10 percent of the initial price of the currency. A stop order consists of two factors: price and duration. Whereas limit orders are used to enter into a transaction, and accumulate profits, stop orders are used to prevent potential losses caused because of currency fluctuations. In the following section we will let you know some Forex trading secrets that will make performing stop orders simple. Let's say you buy 3 lots of USD/JPY for an ask price of 116.99, and that you expect a 10 pip rise of the Dollar in the Forex trading market. In order to protect your investment in case the USD drops, you place a stop loss order to sell at 116.89. This way if your currency should move in a direction contrary to your expectations, it will automatically be sold. Forex trading stop orders do not protect you against currency crashes and steep drops. If you place a stop 10 pips under the ask price, and the currency drops 30 pips, then you lose the 30 pips. This rarely happens though, especially not for the major Forex currencies. Using technical analysis, traders sometimes place Forex stop order beneath Forex trading indicators such as trendlines or moving averages. Another way to think about stop orders is to regard them as life savers, or seat belts, that get into action only if something goes wrong, thus preventing an unfortunate disaster. Any trader that wishes to protect his currency should opt to use Forex stops.